Transgressive | Watch the ‘Azo Toke’ video from our new signing KOKOKO! Watch the ‘Azo Toke’ video from our new signing KOKOKO! We're very excited for you to hear some music from our new signing - KOKOKO! A collective born in Kinshasa, KOKOKO! 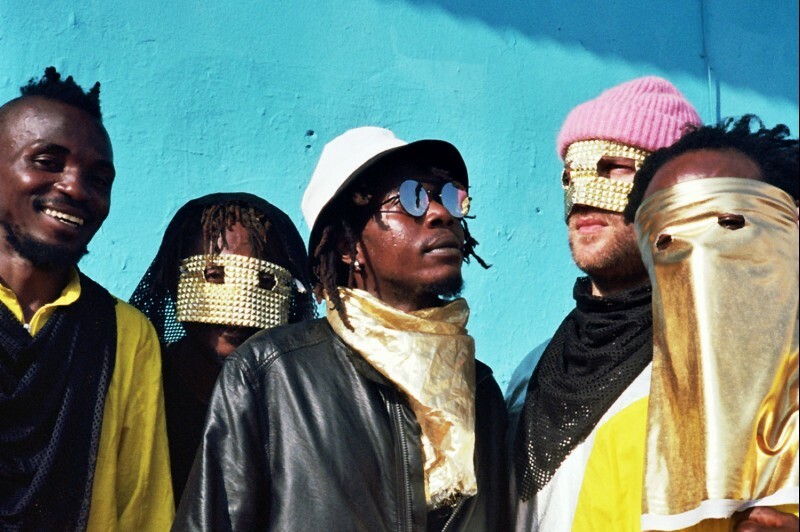 are a creative collision of musical instrument inventors from the Ngwaka neighbourhood, electronic producer débruit, Makara Bianko (aka the Lingwala devil) and his dancers from the Lingwala neighbourhood. You might have come across them before in videos for RA Sessions and Nowness. Their latest release, Azo Toke came out in the summer, and there is a video for the song shot in Kinshasa out today, which you can watch below. There will also be a new EP out before the end of the year, Liboso. The title translates as "forward, straight ahead", and features new tracks showcasing more of their sonic universe. Blvd Lumumba is named after the road which leads you into Kinshasa set by a giant cross-shaped sculptural 'Jesus Crisis' harp, has a delicate wistful feel. Played over an 808 kick, it sounds like homemade early house. Affaire A Mbongo (Money Problems), has an early 80s No Wave vibe that would have surely rattled the concrete at Larry Levan's Paradise Garage... had it not been recorded in 2018. Longola Ye Kupe is a hypnotic number, meanwhile, highlighting Makara Bianko's impassioned and idiosyncratic vocal. Coming over instrument-maker Dido's rhythmic guitar and a steady, pulsing bassline, the results sound like Detroit via the Congo. Liboso is out 7 December, 200 copies of the EP will be released on limited edition test pressing vinyl, available at all good indie retailers.